We take care of the little things so that you can take care of the little Ones! We are a Party Shop Situated in the Strand Western Cape And now ONLINE too! Party decorations, party favours, baby shower party supplies and it is shipped directly to you. 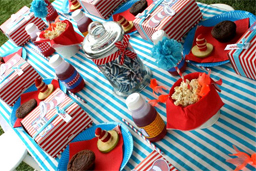 We currently stock more than 150 party themes. 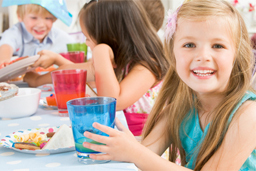 We also Hire out Kids Party Tables & Chairs, Chair Covers, Tablecovers, Banners ect. available in assorted colours! We specialise in Picture Cakes and Edible Icing Sheet Prints for all cakes & cup cakes! 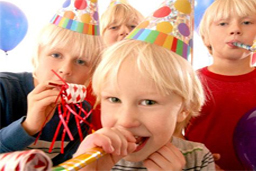 We pack your Party Packs for you, ready to collect and send to school or to use at your own party! We rent our Chairs, Tables, Chair Covers, Tie Backs, Tablecovers, Banners, Cupcake Stands, Toadstools, Mascots, Chocolate Fountains & Jumping Castles! We stock Latex Helium Quality Balloons, Foil Balloons, Singing Balloons and Balloon Boquets for all Themes and Ages.